Here are some info on the gear currently avalible. My priority is to build tonemachines that goes a bit further on than just cloning amps that so many are doing today, these following amps are result of over 30 years of research for the ultimate clean guitar tone that responds extremely well to effect pedals, also each amp is uniquely built for each customer, all with careful attention and for example hand engraved chassies, various exterior materials exotic front cloths and wood etc. Mother Classic reverb 70, 6550 tube poweramp. Top of the line ! ** The new Cobras are a great alternative if you want the Sayce style fat tones and cant afford the more expensive Mother amps. Enchilada, mods for all old Fender reverb amps.from Deluxe to Twin, making them sound larger than life and with a killer responce and no bottomend flubbines and has quick responce and and wonderful presence, just full deep clear tone, I done this circuit version to Philip Sayces Fender amp. 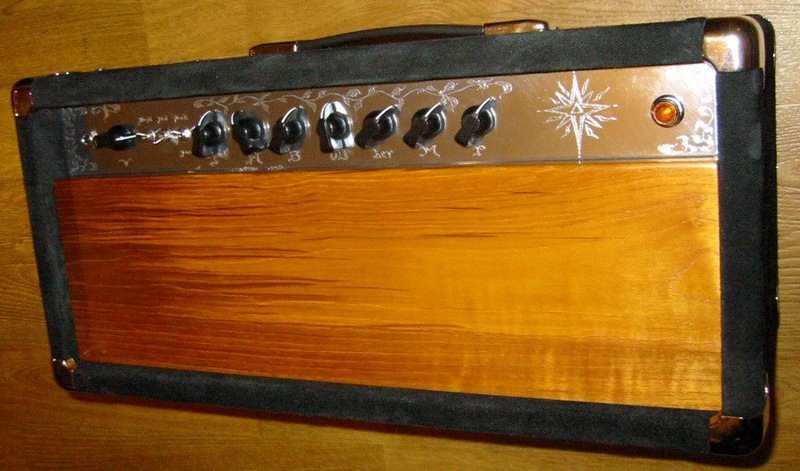 You only send in the chassie (Please, this mod offering is limited depending on my schedule, so please send me a email and I see what I can do ) 805 Euro for the 22-35w amps 850 Euro for the 45-50w 1085Euro for the 100w amp conversion. Sweet Sauce, fine tweaking of old fender amps to make them come alive much better, this mod is a real sleeper I use mainly stock style components as much as possible to keep the amps looks as stock as possible inside, but with skewed values after a special recipe to achieve a better performing amp, you only send the chassie, the Sweet sauce mod is only avalible within EU 20-50w amps 450Euro, 100w amps 500Euro. Thunderbrake, Power Attenuator 4-8-16 100w. 235Euro **You can use Paypal for this item. 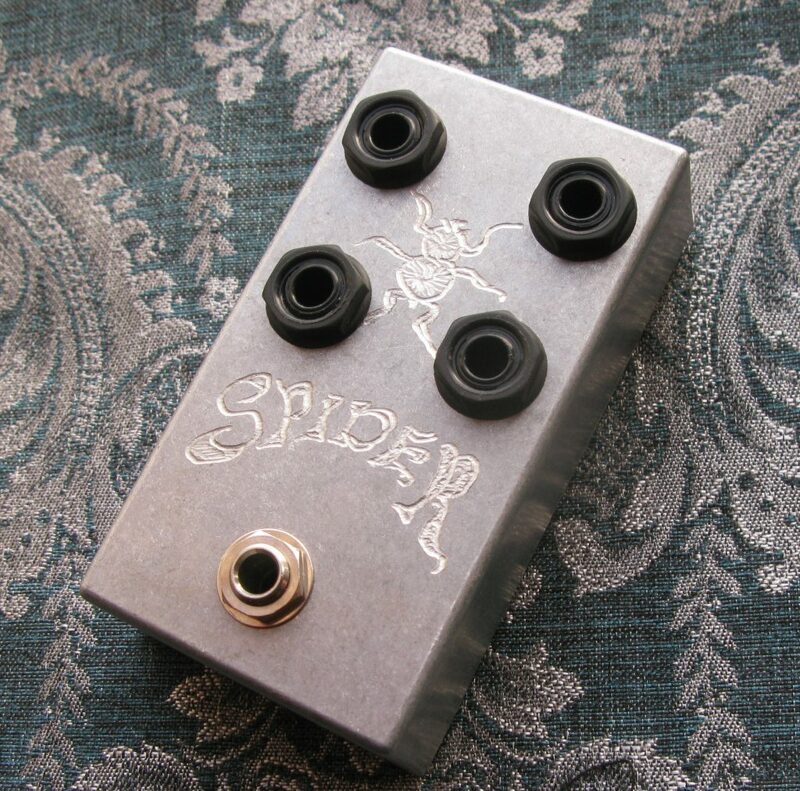 Spider, splitbox to use in multiparalell amp setups for that wide fat SRV, Sayce style amp sound, from 1 to 4 amps at once, produces a great wide big tone. 99 Euro **You can use Paypal for this item. All gear are custombuilt to order, for pictures see the gallerys below. ** All prices may change depending on currency swings so please check with me !! Philip Sayce playing the Enchilada mod Fender amp. Ramon Goose playing the RG70. Olli Siikanen playing the KTC amp. Chris Chown playing a Enchilada mod Super reverb.